Center City Public Charter School's PreK-8th grade neighborhood-based schools provide a high quality, well-rounded public education. Our mission is to empower our students for lifelong success by building strong character, promoting academic excellence, and generating public service throughout Washington D.C. Position helps to create a classroom culture that represents Center City's high expectations for every scholar and its core values. Inclusion Teachers are expected to provide specific and timely feedback on scholar effort, behavior and student work. Work collaboratively with the general education teacher to ensure Inclusion Model is implemented consistently at Center City PCS. Position provides instruction that supports, supplements, and extends excellent classroom teaching Position is responsible for analyzing mandated data and planning for future special education needs. Position is responsible for instructing students individually or in groups to enable students to ensure students are receiving accommodations and modification in accordance with IEPs. Teachers work hours: 8:00AM to 4:30PM Monday-Friday. Every Wednesday students leave at 2:30 to allow for campus professional development and one Wednesday each month, teachers enjoy Wellness Wednesday, when they leave school at 2:30pm. The Achievement Schools represent an unprecedented effort to provide an excellent neighborhood school for every child in the Frayser community of Memphis. A network of five zoned, neighborhood turnaround schools, the vision of the Achievement Schools is for every child in Frayser to attend an excellent neighborhood school. Since 2012, the Achievement Schools have been partnering with families and community members to provide an excellent education to students in Frayser. The Achievement Schools currently operate five schools in Memphis: Corning Achievement Elementary, Frayser Achievement Elementary, Georgian Hills Achievement Elementary, Whitney Achievement Elementary, and Westside Achievement Middle. Achievement Schools have an extended school day. Teachers operate on an 11 month work year. Teachers are evaluated via the Guiding Rubric for Instruction Transformation (GRIT). There will be a minimum of 3 formal evaluations each year and bi-weekly informal observations followed by feedback and coaching conversations. Teachers will have planning time, however, Teachers are expected to participate in school and network meetings, including data meetings, coach meetings, and network-wide PD. A teacher's starting salary is based on prior teaching experience and can range from $47,000 - $70,000. However, a teacher's total annual compensation is made up of four components: base salary, team performance bonus, leadership pathway stipend, and comprehensive benefits. The benefits package includes medical, dental, vision, life, disability, flexible spending accounts, and a retirement/pension plan through the Tennessee Consolidated Retirement System (TCRS). Assist students in subjects of concern in two Resource classes (address study and organizational skills) and provide support to students in core classes. 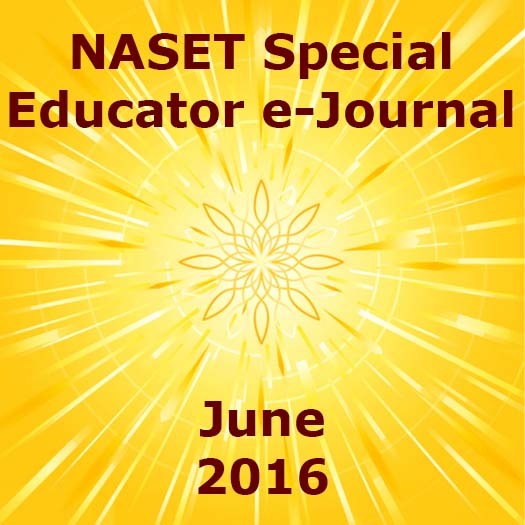 Assist in IEP/504 reviews, educating/informing faculty of best modalities for student success. Address faculty in one meeting a week on Professional Learning Community curriculum. Experienced boarding school Special Education certified teacher with a Master's degree in Special Education, be currently certified and have 2+ years high school experience teaching in Special Education. Boarding school experience a plus. Room and board suitable for a single person. The Resource Specialist Teacher is solely responsible for the Resource Services Program for Kindergarten through Grade 12. The Resource Specialist Teacher supports all faculty members in implementing research-based, effective practices in meeting student needs within the classroom to support individual students who are struggling in classes due to individual learning differences. The Resource Specialist Teacher provides pertinent information and consultant services to staff members and parents and on-going student assessment and evaluation. This position reports to the Head of School. This position is located at the Mountain View campus and might require occasional travel to the Berkeley and San Francisco campuses. Support the policies and programs of GISSV and performs assigned duties consistent with school policies, regulations and procedures. Carry out mission, vision, and values established by the GISSV community and its Board of Directors. Special Education Credential and/or a MA in Special Education; candidates with similar degrees and related training in specialized instructional practices and experience will also be considered. Please direct your completed application, including a cover letter, resume, diplomas, 3 reference letters, transcripts, etc. by May 27, 2016 to Anja Friebe, HR Director atjobs@gissv.org, e-mail subject "Resource/Your Name". The Charles E. Smith Jewish Day School is seeking a part time special educator to work with students, teachers and parents in our Lower School for the 2016-2017 school year. The students will be in grades 3 – 5. This part time role is a benefit-eligible position. The Learning Specialist will be part of a team of other special educators who work at the school through the Educational Support Services Department, providing a variety of strategies and interventions to students with diverse learning needs, both in and out of the classroom setting. In addition to providing direct remedial support to students, other responsibilities include design of individualized education plans, case management, chairing educational management team meetings and close collaboration with classroom teachers. Experience in co-teaching is preferred. Training and experience in one or more research based multi-sensory reading methods is required. Familiarity with effective reading comprehension, writing and math programs for students with language based learning disabilities is also necessary. Orton Gillingham trained learning specialists are preferred. Master's Degree in Special Education from an accredited university. At least 3-5 years' teaching experience. A high level of interpersonal skills to work with staff and parents dealing with sensitive and confidential issues concerning a child's learning differences. Leadership skills to implement staff workshops and conduct parent meetings. Experience supporting students with executive functioning challenges. Comprehensive employee benefits package includes access to health, dental, vision, 403(b) retirement plan, life insurance, long-term disability, discounted lunch program, tuition remission and more. Qualified candidates should submit a cover letter and resume to www.cesjds.org/careers Job Code LS700. Master’s Degree in Special Education from an accredited university. At least 3-5 years’ teaching experience. A high level of interpersonal skills to work with staff and parents dealing with sensitive and confidential issues concerning a child’s learning differences. Please send updated resume to hr@ebshealthcare.com or visit www.ebshealthcare.com/applyto complete our online application.